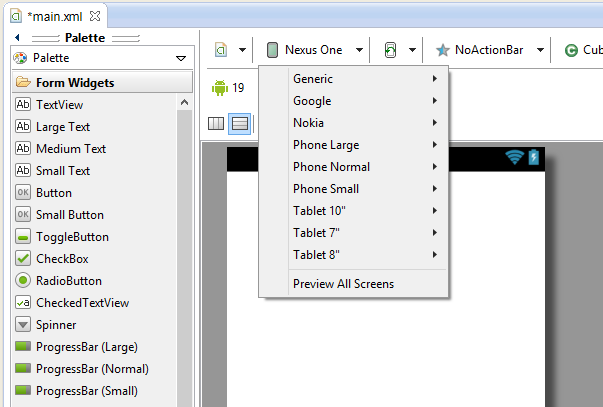 You may known that Graphical Layout on ADT or Android Studio have Device Profile to preview your application layout. But i think it's too a little device for now. So I have created an add-on device profiles for multiple screen support. 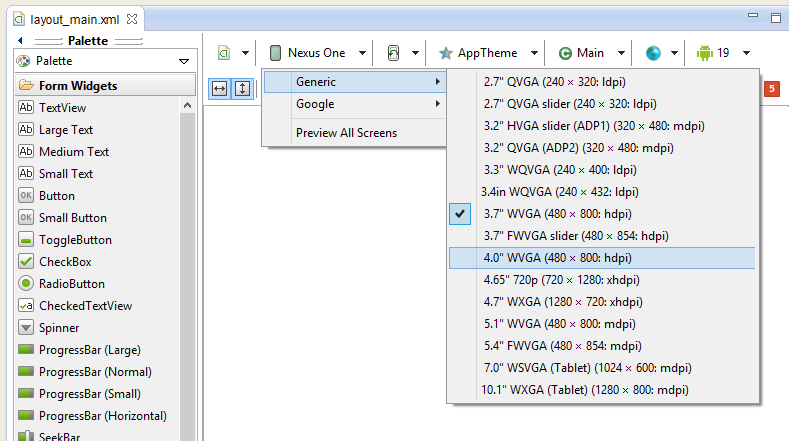 These profile are coverage information on screen size and screen density whether it's a phone or tablet. These informations has collected by my application names "Developer Device Information". 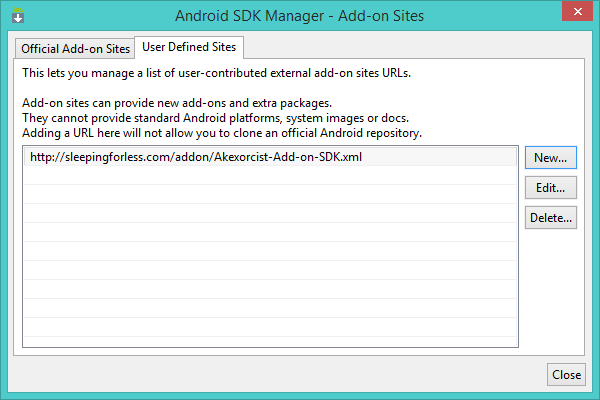 • Open "Android SDK Manager" from "Window > Android SDK Manager"
• Choose "Tools > Manage add-on sites..."
• Select on "User Defined Sites" and choose on "New..."
• "Add Add-on Site URL" dialog will show up. Copy my add-on URL and paste on it, and press on "OK" button. 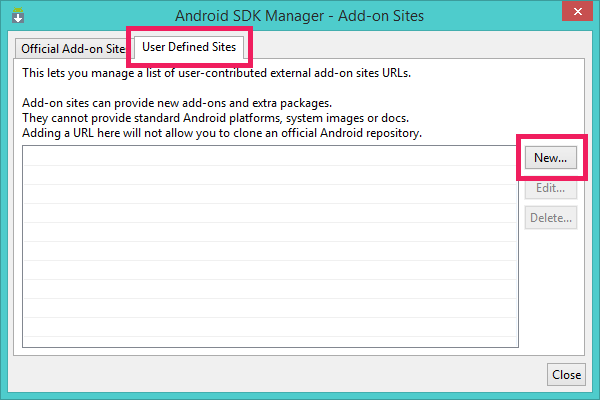 • My add-on will show on "Add-on Site", then close this window. 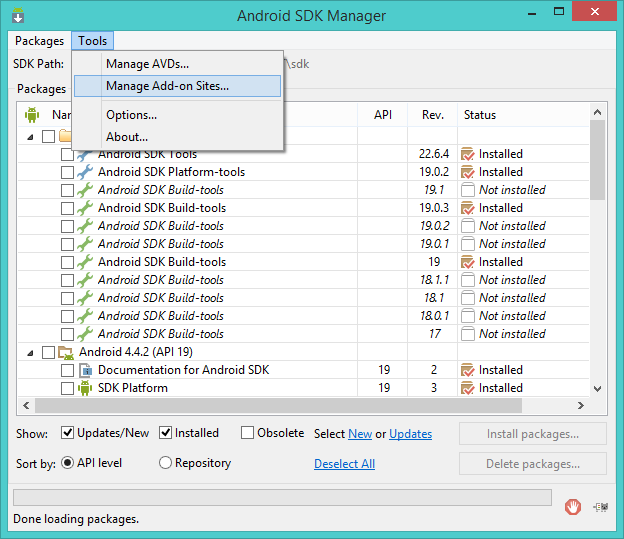 • Back to "Android SDK Manager" window. 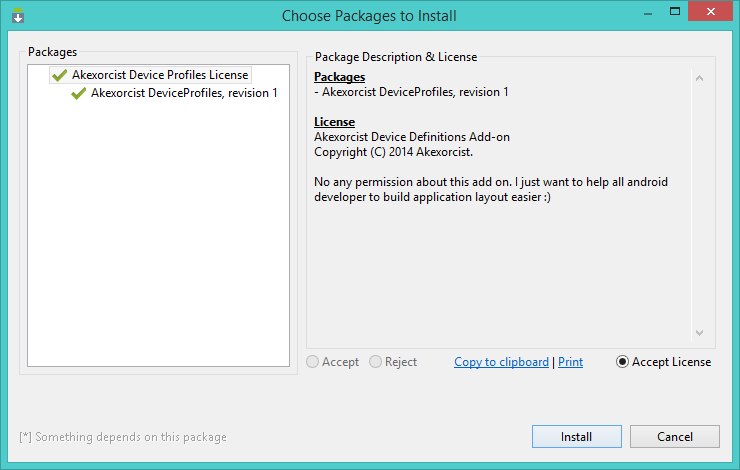 You will see "Akexorcist DeviceProfiles" in "Extras". That's my add-on, choose and install it. 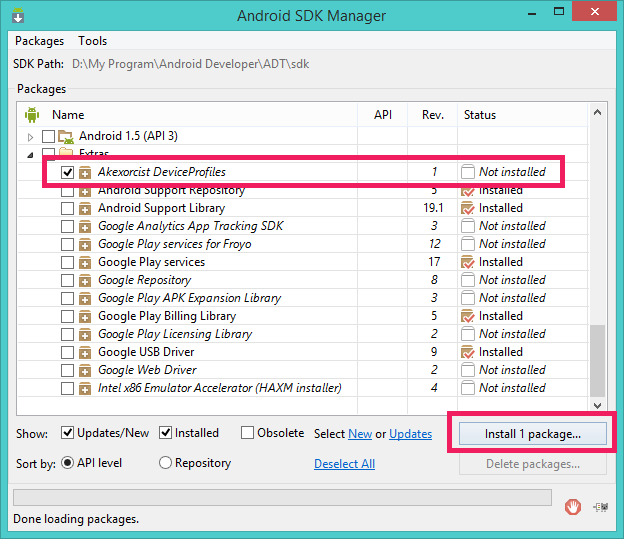 • When installation has finished, restart your ADT or Android Studio. 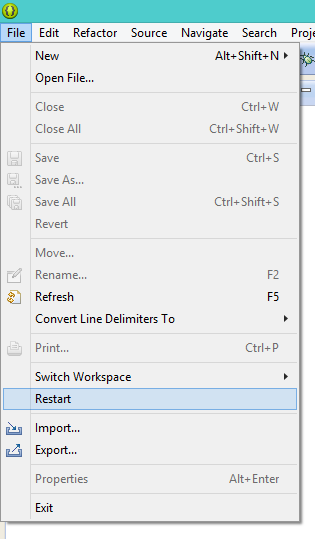 • After restart, open your layout file and try to change preview device profile. You will see a new device profile was added. My phone device profile according to screen size and dp unit. Device which have 4.7" and 4.5" in 1280x720px they are same screen properties (normal xhdpi 640x360dp) so I specified these profile by screen properties for development, not real screen size in inch unit. This device profile exclude a stupid profile from china android device like as some china tablet which have 7" screen size but it have "Normal" screen size properties!!! At last I hope this add-on will help you to test your app to multiple screen support and make a great app for android users. 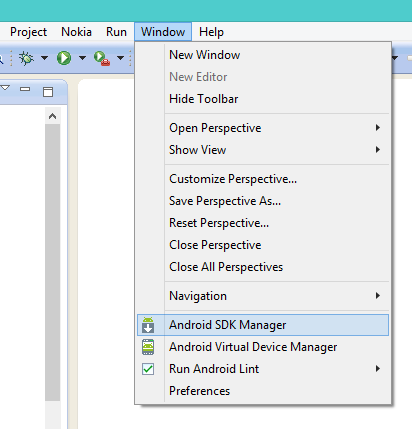 PS.It's look funny when I saw my name in Android SDK Manager.